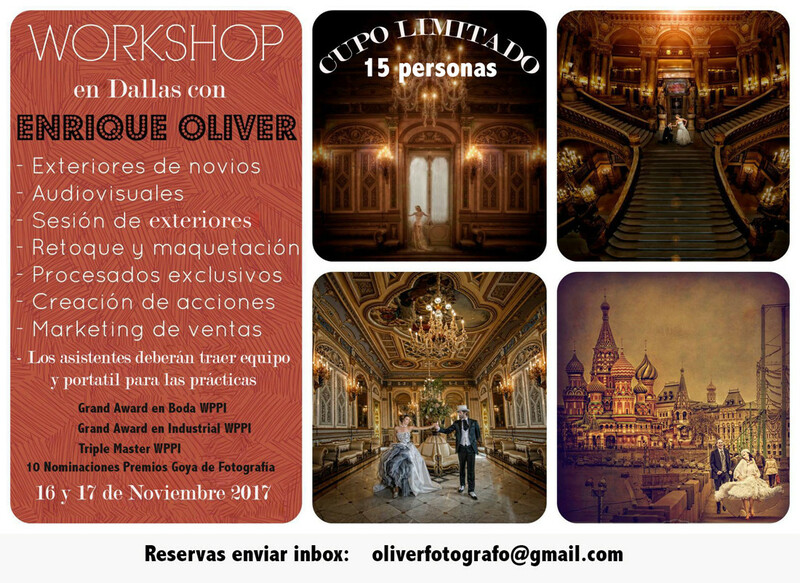 En el mes de Noviembre voy a realizar un workshop en Dallas correspondiente a como preparar fotografias de boda con impacto, tratamientos adecuados para cierto tipos de imagenes, impresion de las mismas, soportes y preparacion. Tambien dedicare un tiempo a como preparar esas mismas imagenes para cualquier tipo de competicion, como conseguir que nuestras fotografias consigan una buena puntuacion. In the month of November I am going to make a workshop in Dallas corresponding to how to prepare wedding photographs with impact, suitable treatments for certain types of images, impression of the same, supports and preparation. I will also spend some time preparing the same images for any type of competition, such as getting our photos to get a good score.